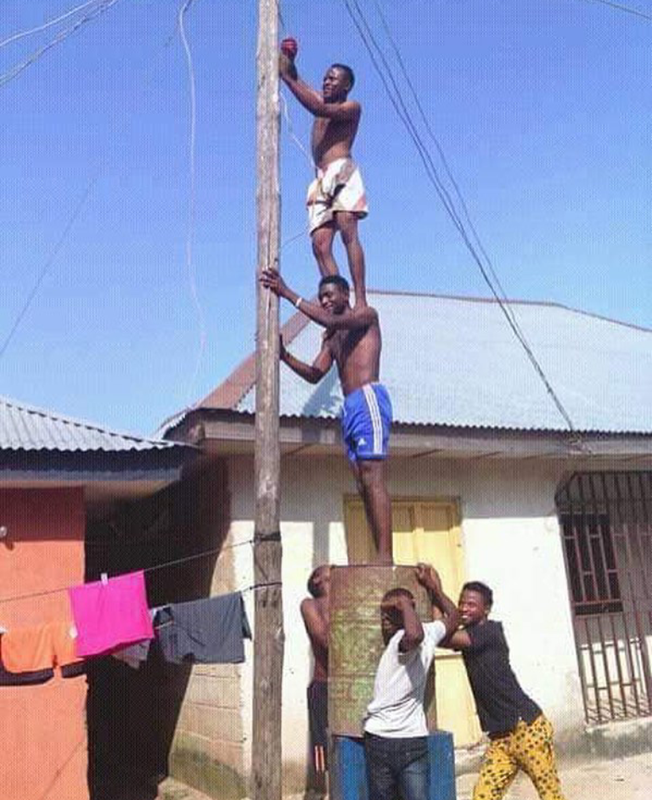 Pics of the day: What will happen if the 1st guy gets electrocuted??? I can't just stop laughing after realising my imagination of the aftermath of a little mistake... lwkmd. I pity them though, but what amaze me most, is them smiling to the camera.